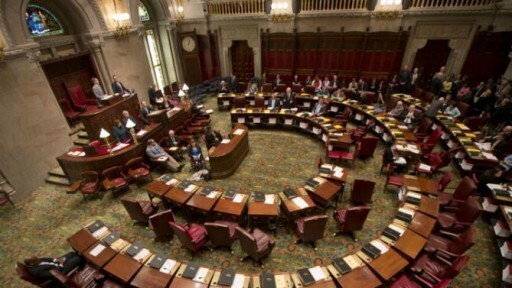 Albany, NY - A new report indicates most New York lawmakers receive no outside income and that only 11 report making more than $100,000 from side jobs. The analysis issued Thursday by Common Cause New York looked at financial disclosures from 183 state lawmakers elected before last year and found that 60 percent report no outside income at all. Of the 40 percent who do, most are attorneys. Others reported modest incomes from part-time college teaching jobs or, in one case, playing piano at church. Restricting lawmakers’ outside income is a key part of several proposals to combat corruption. Common Cause Executive Director Susan Lerner says prohibiting outside employment could prevent conflicts of interest and corruption. The report comes after recent corruption convictions of former Speaker Sheldon Silver and ex-Senate Leader Dean Skelos.